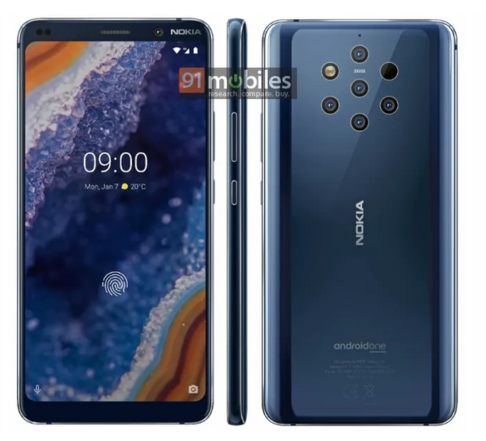 According to the Press Render, the upcoming Nokia 9 PureView will have a tall aspect ratio with a notch-less display. The upper and lower bezels of the smartphone seem quite thick. The best bezel contains an earpiece, a selfie camera, and the company’s name. 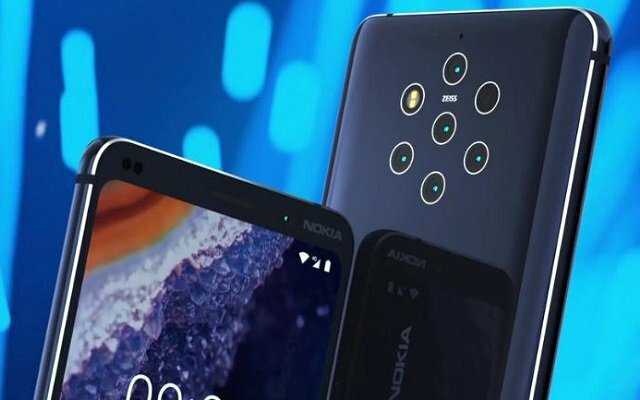 The phone has five cutouts for the Penta Camera Setup. The setup may include various kinds of sensors such as RGB, monochrome, telephoto, wide-angle and 3D ToF sensors. In addition to these sensors, there are also two other cutouts for autofocus module and LED flash. Furthermore, the rear of the smartphone curves towards the left and right edges for better grip. The right edge also contains a volume rocker and power key. Let’s have a look at the render.